On September 21, 2015, the 4 universities and PI/co-applicants in this proposed research program partnered in organizing a transportation symposium, which took place at Toronto City Hall. The event attracted more than 250 students, in addition to many academics and professionals working in the GTHA region (Figure 4). The symposium featured a student-led panel represented by all participating universities, that focused on the transportation experience of students. Responses to the panel came from policymakers in the GTHA, including high-rank officials from the Regional Municipality of York, Metrolinx, and the Toronto Transit Commission (TTC). In addition to the student-led panel, several researchers (applicants for this proposal), including Siemiatyki, Mitra and Keil, spoke at the event. On December 2, 2016, research partners associated with StudentMoveTO held a dissemination event at the City Institute at York University. The event was held at York University, in part due to its suburban location, which allowed us to reach out to a different student demographic, when compared to our previous event at Toronto City Hall, and enabled a shift in conversation from an urban to a suburban context. Researchers presented some preliminary findings from StudentMoveTO and ongoing research based on the data gathered in the survey. The seminar was titled ‘Riding the Train to Better Student Mobility in the GTA’, and featured presentations from researchers from all 4 universities. The presentations were conducted by Roger Keil of York University (co-applicant in this proposal), Matti Siemiatycki of the University of Toronto (co-applicant in this proposal), Chris Harding (a student trainee from our previous partnership), Md. Moniruzzaman (student trainee), Tian Lin (student trainee) and Steven Farber of the (collaborator in this proposal) University of Toronto, Carol Skelton of OCAD University, and Sean Nash (student trainee) and Raktim Mitra (PI in this proposal) of Ryerson University. The StudentMoveTO researchers at Ryerson University partnered with the RyersonSustainability Office (RSO) to deliver the first ever ‘Healthy Commute Week’ at Ryerson from October 3rd to October 7th, 2016. The campaign was aimed at promoting healthier and moreenvironmentally sustainable commuting options to Ryerson’s downtown Toronto campus(Figure 5). The campaign coincided with the installation of more than sixty bicycle parking spotson Ryerson’s campus by the City of Toronto. The first three days of the campaign focused on different forms of sustainable transportation, including public transportation, active transportation, and an entire day dedicated to cycling. In addition to the educational component of Healthy Commute Week, there were additionally free bicycle tune- ups and prizes. 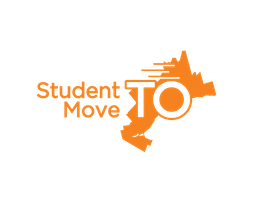 The StudentMoveTO survey data has facilitated the production of several scholarly publications and presentation, some of which were results of inter-disciplinary and inter-institutional collaborations. Despite the limited scope of the survey, at least 7 journal manuscripts (published or submitted) and 7 working papers/ reports have been produced to date, with several other works in progress. StudentMoveTO- related research has been presented at a variety of international conferences since 2016, including the Annual Meeting of the Transportation Research Board (TRB) in Washington D.C., the Designing Interactive Systems Conference in Edinburgh U.K., The Human Computer Interaction Conference in Toronto Canada, the International Conference on Transport and Health in Barcelona, Spain, and a symposium organized by the European Association for Research in Transportation (hEART) in Delft, Netherlands. In addition to scholarly publications and presentations that have come from the data collected by StudentMoveTO, the data and results are being used as teaching materials acrossToronto’s 4 universities, and elsewhere, including transportation planning and geography coursesat the University of Toronto’s St. George and Scarborough campuses, and in advanced research methods and analysis, and advanced planning studio courses at Ryerson’s School of Urban andRegional Planning. Moreover, a graduate studio on transportation system design in Pasadena, California, and an undergraduate studio seminar at the Gallatin School of Individualized Study at New York University (NYU) have used StudentMoveTO data.